“The tournament will be held July 15-18, 2021. 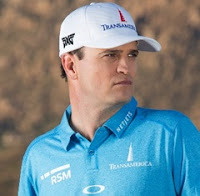 It will mark the first Open at St. Andrews since 2015, when Zach Johnson defeated Louis Oosthuizen and Marc Leishman in a playoff to win his second career major and first claret jug. Check back next week for more on Team RSM, The RSM Classic (Nov. 12-18, 2018) and other golf-related news. Next year’s tournament is just nine short months away!